Less approached by scientific literature, stakeholder perspective on the effects of climate change for tourism activities is a very actual topic. As an essential part of the complex study of climate – tourism relationship, it needs to be investigated and illustrated through study cases. The present paper approaches this original topic for Vatra Dornei complex spa and mountain resort. Located in the northern part of Romanian Carpathians this destination depends to a great extent on climate resources which show a clear variability of main parameters on which its outdoor activities are based. In this context the voice of stakeholders involved in the local tourism industry is of great importance to certify and illustrate previously obtained modeling evidences. The present paper consequently outlines the main results of a survey undertaken on the topic of climate change effects on tourism in Vatra Dornei in the attempt to better characterize this complex interrelationship. Abegg, B & Froesch, R 1994, ‘Climate change and winter tourism, Impact on transport companies in the Swiss canton of Graubünden’, in M Beniston (ed.) Mountain Environments in Changing Climates, Routledge, London, pp. 328-348. Abegg, B 1996, Klimaänderung und Tourismus. Klimafolgenforschung am Beispiel des Wintertourismus in den Schweizer Alpen, Switzerland: vdf, Zurich. Abegg, B, Agrawala, S, Crick, F & de Montfalcon, A 2007, ‘Climate change impacts and adaptation in winter tourism’ in S Agrawala (ed.) Climate change in the European Alps, OECD Publishing, Paris, pp. 25-60. Becken, S 2013, ‘A review of tourism and climate change as an evolving knowledge domain’, Tourism Management Perspectives, vol. 6, pp. 53-62. Belén Gómez Martín, M 2005, ‘Weather, Climate and Tourism A geographical Perspective’, Annals of Tourism Research, vol. 57(3), pp. 571-591. Belle, N & Bramwell, B 2005, ‘Climate change and small island tourism: policy maker and industry perspectives in Barbados’, Journal of Travel Research, vol. 44, no. 1, pp. 32-41. Beniston, M 2003, ‘Climatic change in mountain regions: a review of possible impacts’, Climatic Change, no. 59, pp. 5-31. Bicknell, S & McManus, P 2006, ‘The canary in the coalmine: Australian ski resorts and their response to climate change’, Geographical Research, vol. 44, no. 4, pp. 386–400. Bigano A & Bosello F 2007, Impacts of climate change on tourism in the Italian Alps: An economic assessment, Report for the Climalp Project. Breiling, M & Charamza, P 1999, ‘The impact of global warming on winter tourism and skiing: a regionalised model for Austrian snow conditions’, Regional Environmental Change, vol. 1, no. 1, pp. 4-14. Breiling, M 1993a, Die zukuenftige Umwelt – und Wirtschaftssituation peripherer alpiner Gebiete, PhD thesis, Universitaet fuer Bodenkultur, Vienna, Breiling, M 1993b, ‘Klimaaenderung, Wintertourismus und Umwelt’ in W Pillmann & A Wolzt (eds.) Umweltschutz im Tourismus — Vom Umdenken zum Umsetzen, pp. 33-41. Bultot, F, Gellens D, Spreafisco, B & Schedler, B 1994, ‘Effects of climate change on snow accumulation and melting in the Broye catchement (Switzerland)’, Climatic Change, vol. 28, pp. 339-363. Burki, R 2002, ‘Climate change as a threat to tourism in the Alps’, Climate Research, vol. 20, pp. 253-257. Bürki, R, Elsasser, H & Abegg, B 2003, ‘Climate Change – Impacts on the Tourism Industry in Mountain Areas’, 1st International Conference on Climate Change and Tourism, Djerba, 9-11 April 2003. Bürki, R, Elsasser, H, Abegg, B & Koenig, U 2005, ‘Climate change and tourism in the Swiss Alps’, in CM Hall & J Higham (eds) Tourism, recreation and climate change, Clevedon: Channel View, pp. 155-163. Butler, RW 1980, ‘The concept of a tourist area cycle of evolution: Implications for management of resources’, Canadian Geographer, vol. 24, no. 1, pp. 5-12. Buzinde, CN, Manuel-Navarrete, D, Kerstetter, D & Redclift, M 2010, ‘Representations and adaptation to climate change’, Annals of Tourism Research, vol. 57, no. 5, pp. 581-605. Charara, N, Cashman, A, Bonnell, R, & Gehr, R 2011, ‘Water use efficiency in the hotel sector of Barbados’, Journal of Sustainable Tourism, vol. 19, no. 2, pp. 231–245. Cheval, S(ed.) 2003, Indici şi metode cantitative utilizate în climatologie, Ed. Universităţii din Oradea. Ciangă, N 1998, Turismul în Carpaţii Orientali. Studiu de geografie umană, Presa Universitară Clujeană, Cluj-Napoca. CLAVIER, 2008, TOURROM Final Rapport – Winter tourism in Prahova Valley – Poiana Braşov Area, An assessment of sectoral vulnerability to climate change on case study level. Dawson, J & Scott, D 2013, ‘Managing for climate change in the alpine ski sector’, Tourism Management, vol. 35, pp. 244-254. Dickinson, J 2010, ‘Tourism and climate change – An introduction’, Journal of Transport Geography, vol. 18, pp. 445 – 446. Dincă, AI 2013, Turismul durabil în Culoarul transcarpatic Gura Humorului – Câmpulung – Vatra Dornei – Bârgău, Editura Universităţii din Bucureşti. Dincă, AI, Surugiu, C & Micu, D 2009, ‘Stakeholder’s perception on the influence exerted by the variability of the winter climatic conditions on the tourism activities within the Prahova Valley – Poiana Braşov mountain area’, Analele Universităţii din Craiova, Seria Geografie, serie nouă, vol. 12, pp. 201-210. Dingeldey, A & Soboll, A 2010, The Impact of Climate Change on Alpine Leisure Tourism in Germany and Austria, BEST EN Think Tank X, Networking for Sustainable Tourism. Duchosal, E 2007, Climate change impacts and adaptation to winter tourism. How adapting winter tourism to climate change?”, Based on a survey realised in the northern French Alps, Master of Arts in European Tourism Management, Bournemouth University (UK). Erdeli, G, Dincă, AI, Gheorghilaş, A & Surugiu, C 2011, ‘Romanian Spa Tourism: a Communist Paradigm in a Post Communist Era’, Human Geographies, Journal of Studies and Research in Human Geography, vol. 5, no. 2, pp. 41-56. Eugenio-Martin JL & Campos-Soria, JA 2010, ‘Climate in the region of origin and destination choice in outbound tourism demand’, Tourism Management, vol. 31, pp. 744–753. Frey, N & George, R 2010, ‘Responsible tourism management: The missing link between bussines owners’ attitudes and behaviour in the Cape Town tourism industry’, Tourism Management, vol. 31, pp. 621–628. Ge, Q, Dai, J, Liu, J, Zhong, S & Liu, H 2013, ‘The effect of climate change on the fall foliage vacation in China’, Tourism Management, vol. 38, pp. 80–84. Hein, L, Metzger, MJ & Moreno, A 2009, ‘Potential impacts of climate change on tourism; a case study for Spain’, Current Opinion in Environmental Sustainability, vol. 1, pp. 170-178. Hoffmann, VH, Sprengel, DC, Ziegler, A, Kolb, M & Abegg, B 2009, ‘Determinants of corporate adaptation to climate change in winter tourism: An econometric analysis’, Global Environmental Change, vol. 19, pp. 256–264. IPCC 2007, Climate Change 2007: Synthesis Report, An Assessment of the Intergovernmental Panel on Climate Change. Jennings, S 2004, ‘Coastal Tourism and Shoreline Management’, Annals of Tourism Research, vol. 57, no. 5, pp. 581-605. Jones, AL & Phillips, MR (eds.) 2011, Diasappearing Destinations: Climate Change and Future Challenges for Coastal Tourism, CABI Publishing. Klint, LM, Jiang, M, Law, A, De Lacy, T, Filep, S, Calgaro, E, Dominey-Howes, D & Harrison, D 2012, ‘Dive Tourism in Luganville, Vanuatu: Shocks, Stressors, and Vulnerability to Climate Change’, Tourism in Marine Environments, vol. 8, no. 1-2, pp. 91-109. Koch, E & Rudel, E 1990, ‘Moegliche Auswirkungen eines vers tärkten Treibhauseffekts auf die Schneeverhältnisse in Oesterreich’, Sonderdruck aus Wetter und Leben, vol. 42, no. 3/4, pp. 137-153. Koenig, U & Abegg, B 1997, ‘Impacts of Climate Change on Winter Tourism in the Swiss Alps’, Journal of Sustainable Tourism, vol. 5, no. 1. Koenig, U 1994, ‘Entwicklung und Zukunft des Gletscherskitourismus in der Schweiz’, in H Elsasser (ed.) 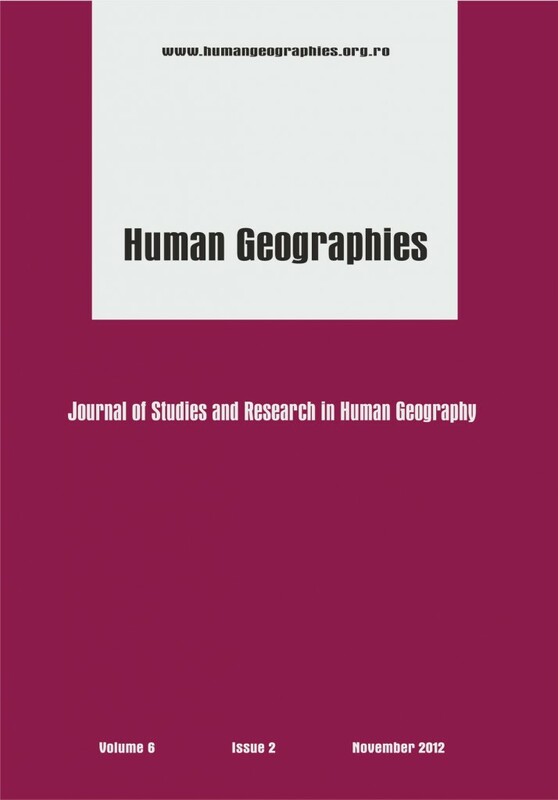 Wirtschaftsgeographie und Raumplanung, vol.19, Department of Geography, University of Zurich. Kontogianni, A, Skourtos, SM, Langford, HI, Bateman, JI & Georgiou, S 2001, ‘Integrating stakeholder analysis in non-market valuation of environmental assets’, Ecological Economics, vol. 37, no. 1, pp. 123-138. Meier, R 1998, Soziooekonomische Aspekte von Klimaaenderungen und Naturkatastrophen in der Schweiz, Schlussbericht NFP 31. vdf, Zuerich. Micu, D & Dincă, AI 2008, ‘Climate Variability and its Implications for Winter Mountain Tourism in the Prahova Valley – Poiana Braşov Area’, Proceedings PEEC 2008, vol. I, Supplement of “Quality-access to success” Journal, vol. 94, pp. 232-241. Moen, J & Fredman, P 2007, ‘Effects of climate change on Alpine skiing in Sweden’, Journal of Sustainable Tourism, vol. 15, pp. 418–437. Mohnl, V 1996, The fluctuation of winter-sport-related snow parameters of the last fifty years in the Austrian Alps, Wetter und Leben, 48. Nicholls, S & Holecek, D 2008, ‘Engaging stakeholders in the development of climate change decision-support tools: A case study from Michigan, USA’, Tourism Review International, vol. 12, pp. 25–42. Peric J, Jurdana, DS & Grdic ZS 2013, ‘Croatian tourism sector’s adjustment to climate change’, Tourism Management Perspectives, vol. 6, pp. 23-27. Phillips, MR & Jones, AL 2006, ‘Erosion and Tourism Infrastructure in the Coastal Zone: Problems, Consequences and Management’, Tourism Management, vol. 27, no. 3, pp. 570–579. Pickering, C 2011, ‘Changes in demand for tourism with climate change: a case study of visitation patterns to six ski resorts in Australia’, Journal of Sustainable Tourism, vol. 19, no. 6, pp. 767-781. Pongkijvorasin, S & Chotiyaputta, V 2013, ‘Climate Change and tourism: impacts and responses. A case study of Khaoyai National Park’, Tourism Management Perspectives, vol. 5, pp. 10–17. Reed, SM 2008, ‘Stakeholder participation for environmental management: A literature review’, Biological Conservation, vol. 141, no. 10, pp. 2417-2431. Rotariu, T (coord. ), Bădescu, G, Culic, I, Mezei, E, Mureşan, C 2006, Metode statistice aplicate în ştiinţele sociale, Polirom, Iaşi. Scott, D, Hall, C M, Gössling, S 2012, Tourism and Climate Change: Impacts, Adaptation and Mitigation, Routledge. Scott, D, Jones, B & Konopek, J 2007, ‘Implications of climate and environmental change for nature-based tourism in the Canadian Rocky Mountains: A case study of Waterton Lakes National Park’, Tourism Management, vol. 28, pp. 570–579. Scott, D, McBoyle, G, Mills, B & Minogue, A 2004, ‘Climate change and the ski industry in Eastern North America: A reassessment’ in A Matzarakis, C Freitas, D Scott (eds.) Advances in Tourism Climatology, Berichte des Meteorologischen Institutes der Universität, Freiburg, pp. 90-96. Scott, D, McBoyle, G, Minogue, A & Mills, B 2006, ‘Climate Change and the sustainability of ski-based tourism in Eastern North America: A reassessment’, Journal of Sustainable Tourism, vol. 14, no. 4, pp. 376-398. Sebek, O 1990, ‘Impacts of climatic change in the Czech Republic in the first half of the 21st century’ in R Bràzdil (ed.) Climatic Change in the Historical and Instrumental Periods, Masaryk University, Brno, pp. 119–124. Smit, B & Wandel, J 2006, ‘Adaptation, adaptive capacity and vulnerability’, Global Environmental Change, vol. 16, no. 3, pp. 282-292. Stern, N 2006, Stern Review: The Economics of Climate Change. HM Treasury, London. Surugiu, C, Breda, Z, Surugiu, MR & Dincă, AI 2011, ‘Climate change impact on seaside tourism. Portugal and Romania: two different case studies with strong particularities’, Revista Economică, Sibiu, vol.1, no. 54, pp. 113-135. Surugiu, C, Dincă, AI & Micu, D 2010, ‘Tourism Destinations Vulnerable to Climate Changes: An Econometric Approach on Predeal Resort’, Buletinul Universităţii Petrol – Gaze din Ploieşti, Seria Ştiinţe Economice, vol. 62, no. 1, pp. 111-120. Surugiu, C, Frenţ, C, Surugiu, MR & Dincă, AI 2012, Analiza şi evaluarea vulnerabilităţii şi capacităţii de adaptare la schimbările climatice în sectorul turistic, Studiu de caz privind staţiunile Predeal, Eforie Nord şi Vatra Dornei, Editura Universitară, Bucureşti. Tepfenhart, M, Mauser, W & Siebel, F 2007, ‘The Impacts of Climate Change on Ski Resorts and Tourist Traffic’, in A Matzarakis, CR de Freitas, D Scott (eds.) Developments in Tourism Climatology, Commission Climate, Tourism and Recreation, International Society of Biometeorology. Tervo, K 2007, ‘Weather and Climate as Limiting Factors in Winter Tourism in Polar Areas: Changing Climate and Nature-Based Tourism in Northern Finland’, in A Matzarakis, CR de Freitas, D Scott (eds.) Developments in Tourism Climatology, Commission Climate, Tourism and Recreation, International Society of Biometeorology. Trawoger, L 2014 (in press), ‘Convinced, ambivalent or annoyed: Tyrolean ski tourism stakeholders and their perceptions of climate change’, Tourism Management, vol. 40, pp. 338–351. Turton, S, Dickson, T, Hadwen, W, Jorgensen, B, Pham, T, Simmons, D, Tremblay, P & Wilson, R 2010, ‘Developing an approach for tourism climate change assessment: Evidence from four contrasting Australian case studies’, Journal of Sustainable Tourism, vol. 18, no. 3, pp. 429–448. UNWTO 2007, Davos Declaration, Climate Change and Tourism: Responding to Global Challenges, Second International Conference on Climate Change and Tourism, 3 October 2007, Davos, Switzerland. UNWTO 2009, From Davos to Copenhagen and Beyond: Advancing Tourism’s Response to Climate Change, UNWTO Background Paper. Vrtačnik Garbas, K 2007, ‘The Potential Influences of Climate Changes on Tourist Demand in Winter Sport Centres in Slovenia”, in A Matzarakis, CR de Freitas, D Scott (eds.) Developments in Tourism Climatology, Commission Climate, Tourism and Recreation, International Society of Biometeorology. Wolfsegger, C, Gössling, S & Scott, D 2008, ‘Climate change risk appraisal in the Austrian ski industry’, Tourism Review International, vol. 12, no. 1, pp. 13-23. Wong, E, De Lacy, T & Jiang, M 2012, ‘Climate change adaptation in tourism in the South Pacific – Potential contribution of public-private partnerships’, Tourism Management Perspectives, vol. 4, pp. 136–144. This post has already been read 2430 times!